I get very tensed this time of the year (Sep/Oct). Not because it is the exam period, but because in circulation are a lot of publications and National televised programs warning us parents NOT to stress our children and pointing an accusing finger at us for causing insurmountable unhappiness to our kids’ childhood years. I lose sleep over these thoughts. 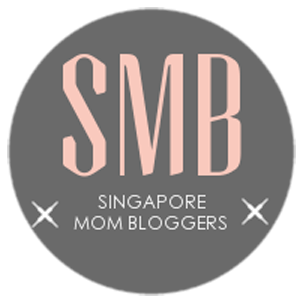 As a parent who is committed to helping my kids get through the demanding Singapore education system successfully, I feel the weight of judgement on being a firm and involved parent. Ever since news that teen suicide rates have risen, the tides have changed against parents, with NIE and all experts (counsellors, psychologists) out in arms calling to parents to STOP pushing. I was afraid to share online last year that my son scored really well for his PSLE (above 250) because I feared the backlash that he had to “STUDY ALL THE TIME”. It was frightening how netizens changed the tune on PSLE grades, and drowned out the happy pats-on-the-back for the students who scored really well. I was sad that they did not get the recognition they deserved. I was afraid to share that he got into an elite school with his PSLE scores. Because suddenly getting into an elite school is an act of parental atrocity. The repeated claim that we are “forcing our will on our kids into elite schools” grates on my nerves and I am annoyed. There are many responsible and caring parents who helped their kids into elite schools of their own free will. STOP telling us that we are forcing our will on them. WE ARE NOT. Let’s face it, labels aside, these schools are elite, not without merit. Let’s not discount the efforts that these schools and their students put in to maintain the standard. Despite MOE’s propaganda that all schools are the same, this is simply not true. I have personally taught in both sets of schools AND asked the opinions of more experienced trainers and former school teachers, and the conclusion is that there ARE distinct differences between neighbourhood and elite schools – pros and cons, benefits and disadvantages etc. At the end of the day, it is up to the parents to facilitate a conversation with their child to CHOOSE what is most suitable FOR him/her. In these instances, parents should heed the experts’ advice in exercising good communication practices and listening skills. This is a loaded question, don’t you think? So it is moot to ask them this question and tie it to academics. Their answers will not be a good reflection. As a parent, my answer is “YES, parents of kids below 16 years old do know what is best for their kids because we have experiences on our side, BUT parents should also practice common sense and best-practices when it comes to guiding our kids through their demanding academic years. 2) Apply best-parenting practices like LISTEN to your kids opinions, ASK good questions to elicit their thoughts on tuition, school pressures, home life and play etc. 3) Respect their viewpoints and final decisions (even if it is not what you want). Disclaimer: I am writing this post because the episode on Talking Point did not fully answer the question it posed and because I feel that it is not a good representation of the full picture of parenting in our home. Let me end this post by saying that my kids are happy, well-rounded kids with a great sense of humour and interests outside of academics and a storage of happy childhood memories to boot! They try not to fail, but if they do, they see it as a learning journey. And they are learning to be self-learners and independent thinkers. So no, I will not feel bad that I become a Tiger Mom occasionally. And I will not feel bad about imposing my desire for them to attend elite schools, or my expectations for them to uphold their academic pursuits to their best abilities, and I will most certainly not feel bad for being a good parent and raising my kids well. Thanks Edlyn (Mummy Ed) for connecting me to this episode of Talking Point. If you have any thoughts on the above, please feel free to share them in the comments below. And I will love for you to connect with US on Facebook, Instagram, or Twitter for giveaways, new posts or sharing.